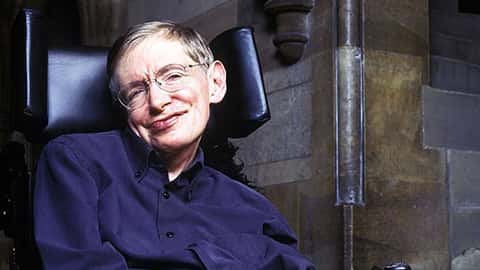 Stephen Hawking is the former Lucasian Professor of Mathematics at the University of Cambridge and author of A Brief History of Time which was an international bestseller. Now the Dennis Stanton Avery and Sally Tsui Wong-Avery Director of Research at the Department of Applied Mathematics and Theoretical Physics and Founder of the Centre for Theoretical Cosmology at Cambridge, his other books for the general reader include A Briefer History of Time, the essay collection Black Holes and Baby Universe and The Universe in a Nutshell. In 1963, Hawking contracted motor neurone disease and was given two years to live. Yet he went on to Cambridge to become a brilliant researcher and Professorial Fellow at Gonville and Caius College. From 1979 to 2009 he held the post of Lucasian Professor at Cambridge, the chair held by Isaac Newton in 1663. Professor Hawking has over a dozen honorary degrees and was awarded the CBE in 1982. He is a fellow of the Royal Society and a Member of the US National Academy of Science. Stephen Hawking is regarded as one of the most brilliant theoretical physicists since Einstein.For the first time, Stephen Hawking turns his gaze inward for a revealing look at his own life and intellectual evolution. Writing with humility and humour, Hawking opens up about the challenges that confronted him following his diagnosis of ALS aged twenty-one. Tracing his development as a thinker, he explains how the prospect of an early death urged him onward through numerous intellectual breakthroughs, and talks about the genesis of his masterpiece A Brief History of Time – one of the iconic books of the twentieth century. You can order your copy at amazon.com or amazon.co.uk. Click through to read an extract.Professor Hawking has given many lectures to the general public. Below are some of the more recent public lectures. Included with these lectures is a Glossary of some of the terms used. Is it possible to fall in a black hole, and come out in another universe? Can you escape from a black hole once you fall inside? In this lecture I talk about some of the things I’ve found out about black holes. Why are we here? Where did we come from? The answer generally given was that humans were of comparatively recent origin, because it must have been obvious, even at early times, that the human race was improving in knowledge and technology. So it can’t have been around that long, or it would have progressed even more. In this talk, I want to ask how far can we go in our search for understanding and knowledge. Will we ever find a complete form of the laws of nature? By a complete form, I mean a set of rules that in principle at least enable us to predict the future to an arbitrary accuracy, knowing the state of the universe at one time. A qualitative understanding of the laws has been the aim of philosophers and scientists, from Aristotle onwards. In science fiction, space and time warps are a commonplace. They are used for rapid journeys around the galaxy, or for travel through time. But today’s science fiction, is often tomorrow’s science fact. So what are the chances for space and time warps. This lecture is about whether we can predict the future, or whether it is arbitrary and random. In ancient times, the world must have seemed pretty arbitrary. Disasters such as floods or diseases must have seemed to happen without warning or apparent reason. Primitive people attributed such natural phenomena, to a pantheon of gods and goddesses, who behaved in a capricious and whimsical way. There was no way to predict what they would do, and the only hope was to win favour by gifts or actions. In this lecture, I would like to discuss whether time itself has a beginning, and whether it will have an end. All the evidence seems to indicate, that the universe has not existed forever, but that it had a beginning, about 15 billion years ago. This is probably the most remarkable discovery of modern cosmology. Yet it is now taken for granted. We are not yet certain whether the universe will have an end. In this talk, I would like to speculate a little, on the development of life in the universe, and in particular, the development of intelligent life. I shall take this to include the human race, even though much of its behaviour through out history, has been pretty stupid, and not calculated to aid the survival of the species.